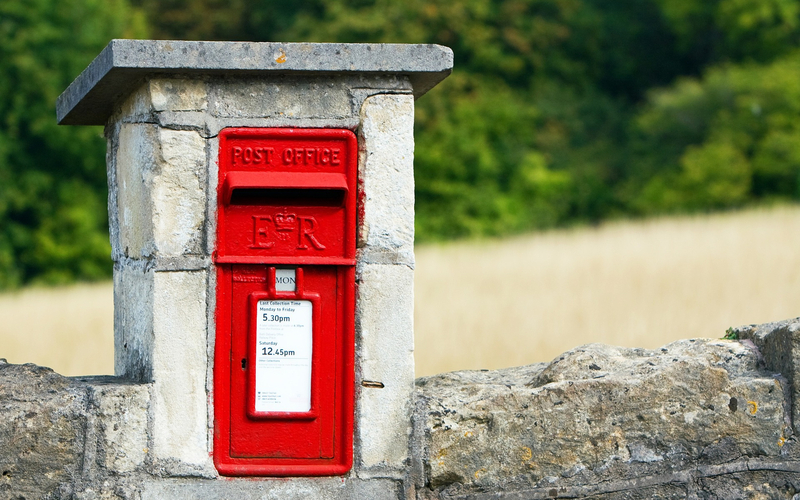 Direct mail has quickly grown in importance for marketers who have found the numbers of people they are allowed to contact through other channels significantly reduced since GDPR. Under GDPR legitimate interest can be used as a legal basis for sending direct mail to customers and in some instances prospects. Whereas, direct marketing by electronic means (email, text, automated calls etc.) requires individuals to give their consent under Privacy and Electronic Communications Regulations (PECR). To help marketers create targeted direct mail campaigns we have put together these 4 tips to help make the most of this marketing channel. 3. Balance it against the individual’s interests, rights and freedoms. Brands can make a valid argument that direct marketing is in the interest of the individual consumer, for example where they are offered money-off products or offers that are directly relevant to their needs. However, to truly answer the balance test you need an in-depth understanding of the attitudes and motivations of the consumer. You use this to learn what marketing communications different audiences will reasonably expect from your brand, reduce the risk of over contact and opt outs, and ultimately improve your relationships. Whether you can use legitimate interest depends on the particular circumstances, and using research to profile your targeted direct mail audiences and understand their preferences means you have evidence to show you’ve considered this in your GDPR strategy. Also, including such research within your Legitimate Interests Assessment (LIA) will help you demonstrate compliance, if required. Using legitimate interest as a basis, direct mail may also be permitted for unsolicited marketing (prospecting). In this instance research can play an even more vital part in understanding the attitudes and motivations of prospects. Quantitative research is not only important for doing your due diligence and creating targeted direct mail campaigns via post-GDPR legitimate interest. It should also be used to understand your audiences’ motivations and barriers. This way, when you come to create your product/service and write your marketing messaging you will know what aspects to focus on. Organisations will often carry out internal market research to learn what their existing customers want. However, customers and prospects’ attitudes can differ greatly, as this case study and webinar illustrate, which is why understanding these differences is crucial for customer acquisition. Using quantitative online research panels, as well as providing insights that can’t be gleaned from your own customer database, means you can quickly and easily learn more about your target audiences without sending surveys to your own database and risking over contact. Now that you have a detailed understanding of what different segments want, you can design targeted direct mail campaigns to engage your audiences. fastmap have plenty of examples of how different campaigns creatives and concepts will change response rates. Download the fastmap guide to creative testing to learn more about their methodology. You can also take a look at this case study about a creative testing project for BookAid International to see how the opinions varied greatly depending on the creatives they used. Campaign testing in this way reduces the risk of live campaigns failing and increases the chance of positive ROI. Opinions on your brand and marketing can change drastically, so keeping track of this change and creating targeted direct mail campaigns that reflect this is vital. Use the results from both your market research programs and evaluate previous campaigns to continually optimise your marketing. The example below is taken from a project fastmap completed for a leading bank. They assessed the performance of a previous direct mail marketing campaign to learn more about the reasons why different target audiences responded the way they did. fastmap ran an online survey which collated responses to 27 questions from a panel of 900 respondents. Topics studied included the direct mail envelope, insert and the current account offering. Results from the quantitative research were then broken down by customer group. Segments included: £100k earners, Premium account holders and £50k investors. Questions were posed relating to perceptions of the current account product and the direct mail campaign. They asked about attitudes towards direct mail and what communications they would be happy to receive from the bank. The results varied significantly across the 3 segments. The diagram below shows how the segments responded as they went through the process of seeing and opening the direct mail pack. The effectiveness of the direct mail campaigns creative envelope varied a lot between the different audiences. The results from this analysis were used to refine and optimise future direct mail outs, some of the key results can be seen below. • Personalisation is key; both in marketing and the offer. In summary, by researching the opinions of your target market segments, and carefully evaluating how they react to the different components of a direct mail campaign, you will get valuable insights into what works for who and why. Through qualitative research you can understand what communications your audience expects and wants to receive. This will not only improve your relationships, and reduce the risk of opt-outs, but also improve your response rates and ROI as you are more likely to send your targeted direct mail to engaged audiences. This article was written by Lee Witherell, fastmap Associate and Founder of independent, data-driven marketing consultancy Wise Owl Marketing. To find out how fastmap can help you with your direct mail marketing campaigns and market research visit www.fastmap.com or get in touch with David Cole, Managing Director, fastmap on +44 (0) 20 7242 702 or david.cole@fastmap.com.